The west end of Kitchener has enjoyed enormous growth over the last few years. From the creation of The Boardwalk and its subsequent commercial expansion, to the new residential developments populating the area, Kitchener’s west-end has become a social and commercial hub for residents. Three years ago, it wasn’t easy to look at the empty piece of land near the corner of Ira Needles Boulevard and Highland Road West and imagine the vibrant development that would come to be. 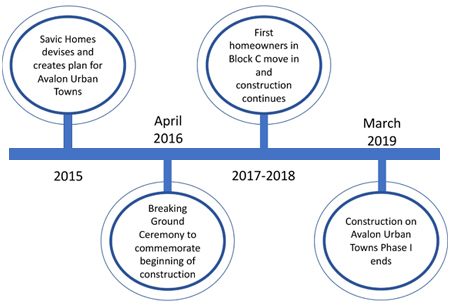 However, after two and a half years, the construction of Avalon Urban Towns is coming to an end, and it’s hard to imagine Kitchener’s west end without it. Avalon has become everything it set out to be: a community with a modern, big-city feel, yet a setting in which young individuals, families, and professionals can spend their time together and forge a strong sense of community. Avalon Urban Towns was a truly revolutionary step in Kitchener-Waterloo’s development history. The introduction of a registered condominium pre-sale, the evolutionary stacked townhome design, along with the breadth of the project itself is unparalleled in the region. We thank you all for your patience during these last three years. Without your tenacious support, the community wouldn’t be as strong as it is. We are excited to announce that all units have been granted occupancy and minor construction continues to finish exterior details. We look forward to the upcoming Avalon projects and the community’s expansion. The Waterloo Region Home Builders’ Association (WRHBA) celebrated its 70th Anniversary while hosting the Sales and Marketing (SAM) Awards of Distinction at Bingemans. 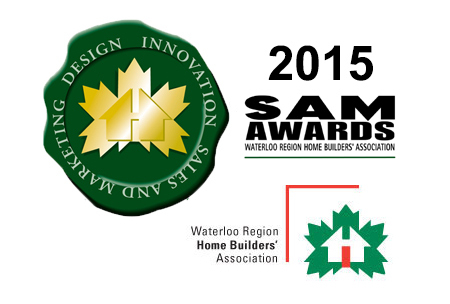 SAM Awards pays tribute in honouring the creativity, innovation and talent of builders, renovators, designers and marketers within the new home building and renovation industry. 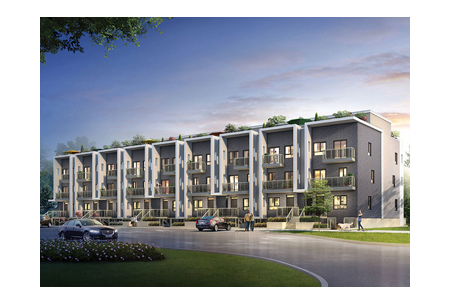 Most Outstanding Low Rise Multi-Unit Design - Cruz (Up to 2,000 SQ.FT. ), Best New Homes Sales Office (Avalon Urban Towns), Best Project Signage (Avalon Urban Towns).